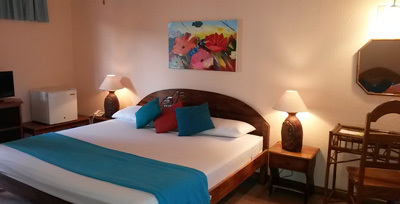 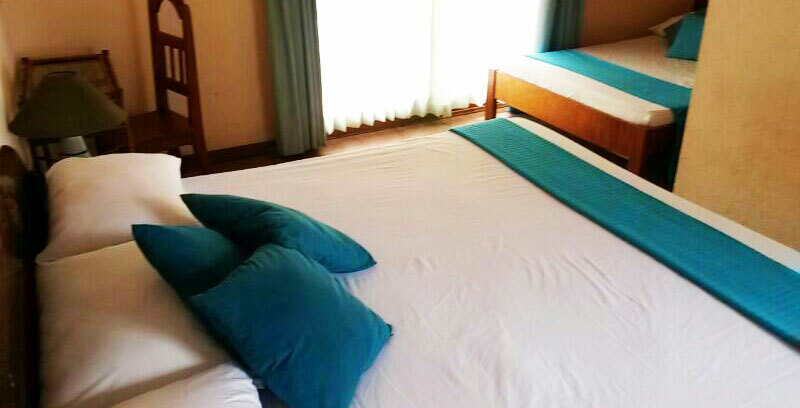 Hotel Samara Beach offers 20 spacious rooms with air conditioning of fan, private bathrooms with hot water, security box, phone, TV cable and a large balcony. 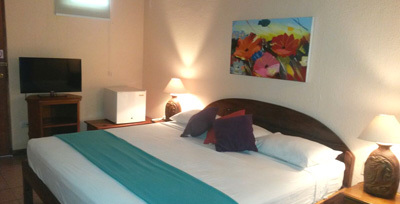 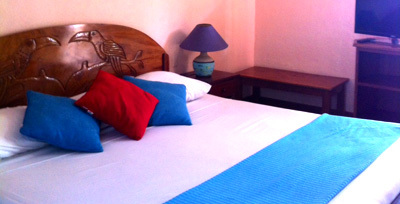 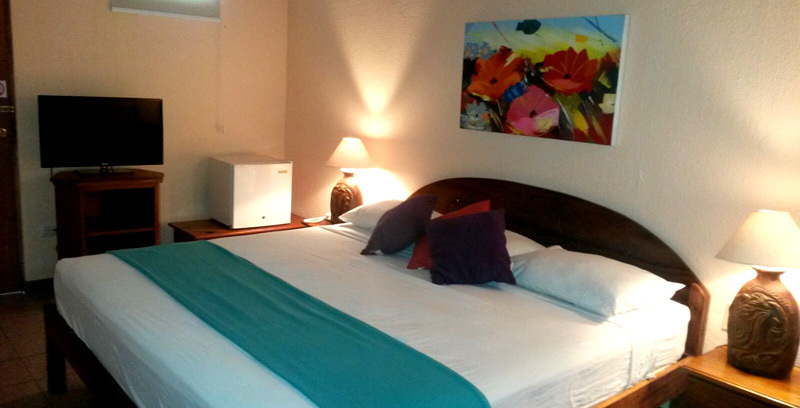 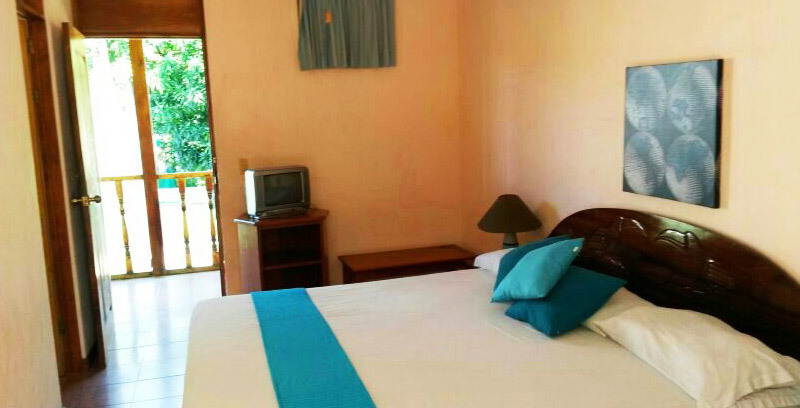 Our rooms overlook our botanic tropical gardens and the pool. 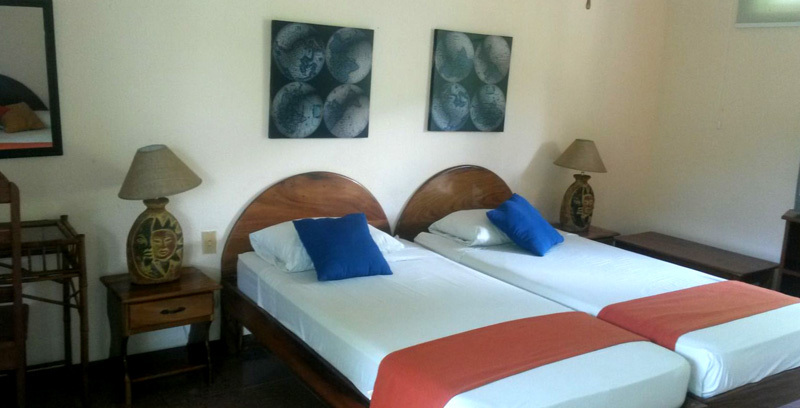 We also have une standard rooms adapted for physically handicapped people, with a full-sized bed and wheelchair-enabled bathroom services, pursuant to the design requirements established under current Costa Rican law. 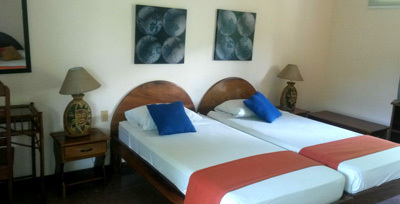 1 king bed and 1 twin bed or 2 twin beds. 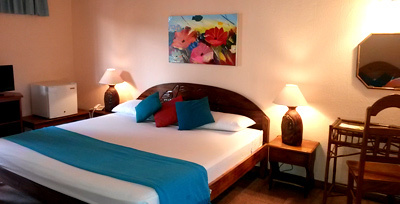 Internet Wireless Access WIFI free service. 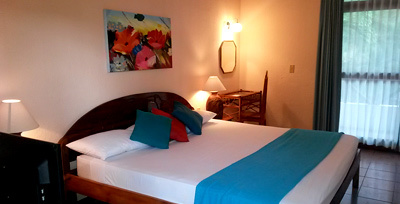 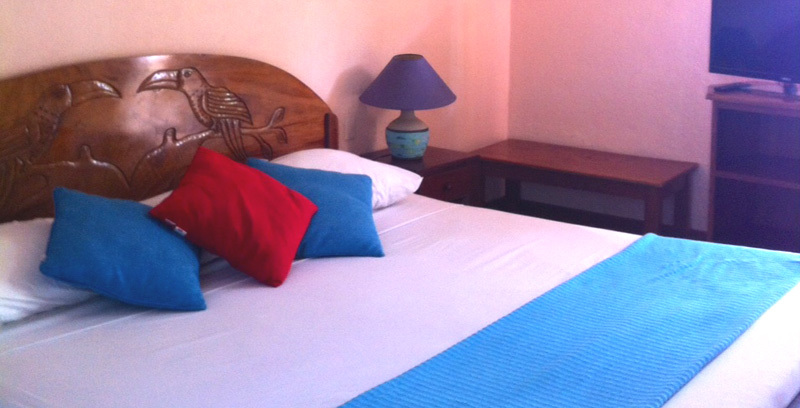 A bottle of wine, special room decoration, 10% discount in double accomodation.